10800 IN MX 0 test.test.com. testalias.test.com. 10800 IN CNAME test.test.com. Primary Zone: The DNS “Domain”. For example, www.krypted.com would likely have a primary zone of krypted.com. Machine Record: An A record for a computer, or a record that tells DNS to resolve whatever name is indicated in the “machine” record to an IP address, whether the IP address is reachable or not. 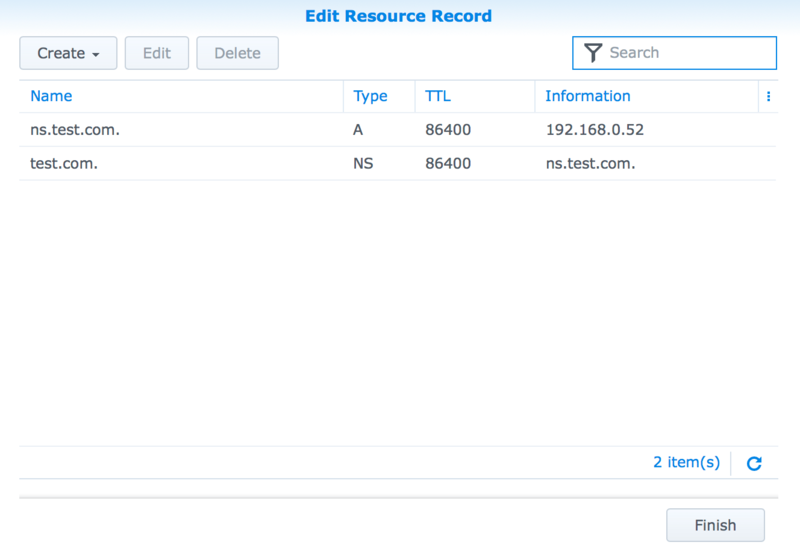 Name Server: NS record, indicates the authoritative DNS server for each zone. If you only have one DNS server then this should be the server itself. Reverse Zone: Zone that maps each name that IP addresses within the zone answer with. Reverse Zones are comprised of Reverse Mappings and each octal change in an IP scheme that has records mapped represents a new Reverse Zone. Reverse Mapping: PTR record, or a record that indicates the name that should respond for a given IP address. These are automatically created for the first IP address listed in a Machine Record. 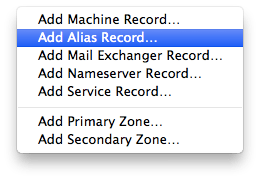 Alias Record: A CNAME, or a name that points to another name. Service Record: Records that can hold special types of data that describe where to look for services for a given zone. For example, iCal can leverage service records so that users can just type the username and password during the setup process. 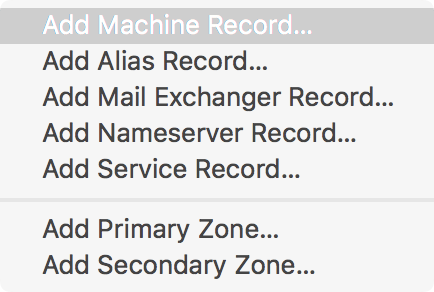 Mail Exchanger Record (aka MX record): Mail Exchanger, points to the IP address of the mail server for a given domain (aka Primary or Secondary Zone). Secondary Zone: A read only copy of a zone that is copied from the server where it’s a Primary Zone when created and routinely through what is known as a Zone Transfer. allow-transfer Takes one or more address match list entry. Address match list entries consist of any of these forms: IP addresses, Subnets or Keywords. allow-recursion Takes one or more address match list entry. allow-update Takes one or more address match list entry. allow-query Takes one or more address match list entry. allow-query-cache Takes one or more address match list entry. Now, let’s get to setting up the new server. 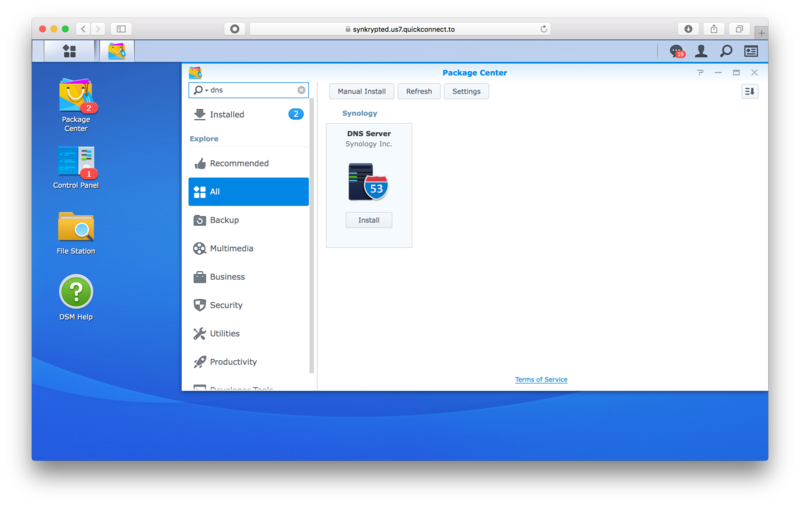 We’ll open the Synology and then click on Package Center. Then we’ll click All in the sidebar and search for DNS, as you can see below. Click Install and the service will be installed on your NAS. 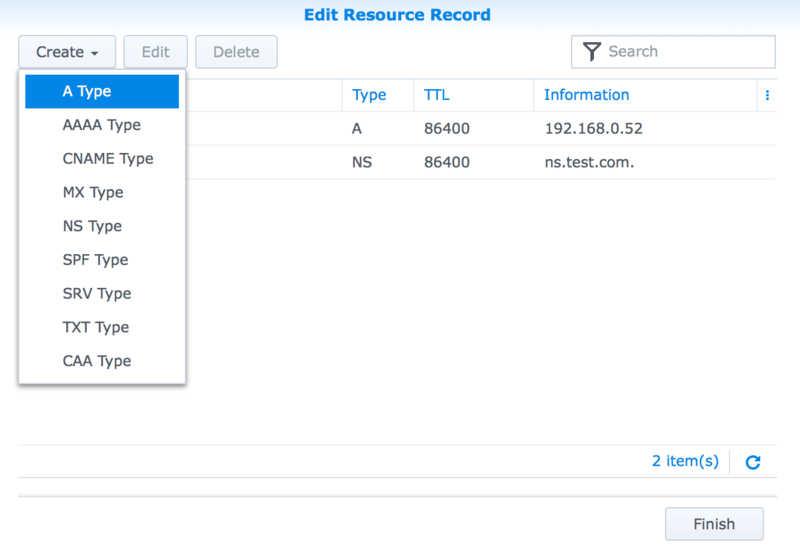 Once installed, use the menu item in the upper left corner of the screen to bring up DNS Manager. Here, you can create your first zone. We’ll recreate test.com. To get started, click on Create and then Master Zone. At the Master Zone screen, select Forward Zone if you’re creating a zone with a name or Reverse Zone if you’re creating a zone for IP addresses to resolve back to names (or PTR records). 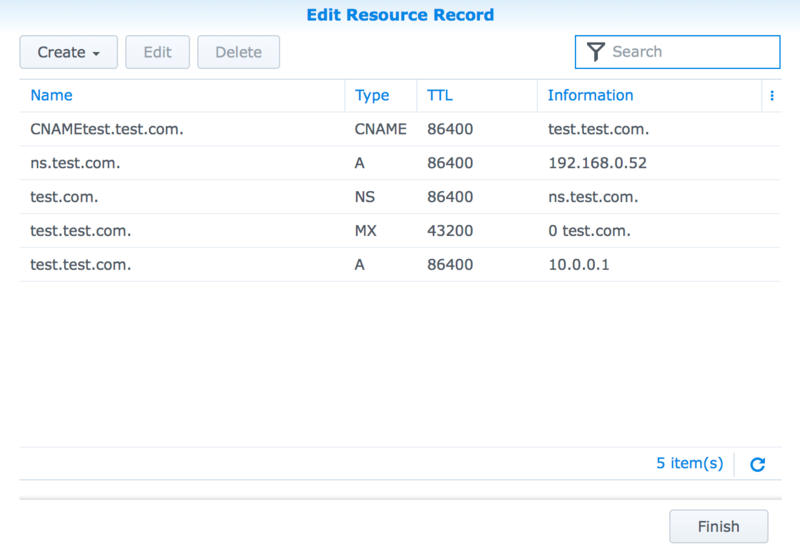 Since test.com is a name, we’ll select Forward Zone and then enter test.com in the “Domain name” field. Enter the IP address of the NAS in the “Master DNS server” field and leave the serial format as-is unless you have a good reason not to. Limit zone transfer: Restrict this option only to slave servers for each zone. Limit source IP service: Restrict this option only to hosts that should be able to lookup records for the zone (which is usually everyone so this isn’t often used). Enable slave zone notification: Identify all the slave servers so they get a notification about changes to zone files and can update their files based on those on the server. Limit zone update: Only specify other servers that are allowed to update the zone files on your server. Click OK when you’ve configured the zone as you’d like. Double-click the zone to load a list of records and create new ones. Click A Type to create that test.test.com record. At the record screen, provide the hostname, along with the IP address that the name should resolve to. Notice that the TTL is a number of seconds. This is how many seconds before another DNS server expires their record. So when they cache them, they aren’t looking the records up against your server every time a client needs to resolve the address. I like the number provided, but when I’m about to move a service I’ll usually come back and reduce that a few days before the move. The nice thing about a high number of seconds before the next refresh though, is it can save on your bandwidth and on the bandwidth of the servers looking to yours to refresh their records. Once you’ve configured the record, click OK.
Click on Create and then CNAME. Enter the name that you’re pointing to another record (in this case CNAMEtest) in the Name: field and then the name that it’s pointing to (in this case test.test.com) in the Cononical Name: field. Click OK.
Now let’s get that MX record created. Click Create and select MX. 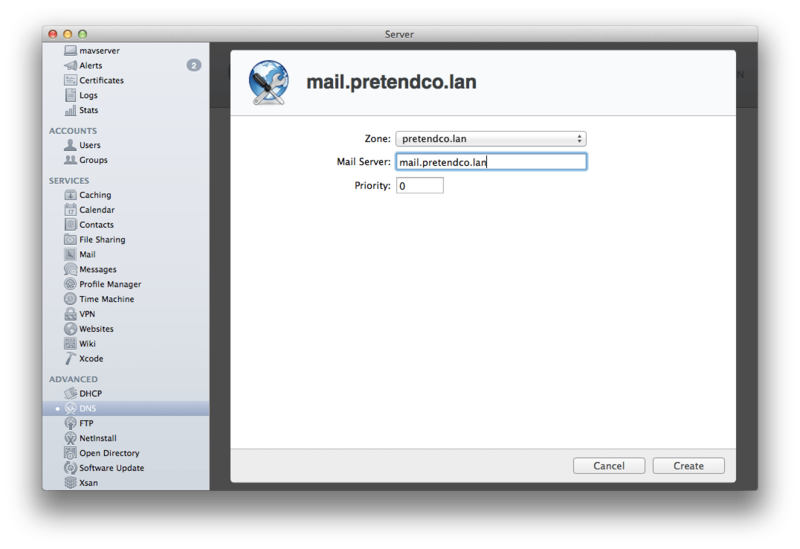 Enter the name of the server you want to get mail (in this case test.test.com will be our mail server. Then provide a TTL (I usually use lower numbers for mail servers), the priority (if this is the only server I usually use 0 but if there’s a backup then I’ll use a number like 20), and finally the name of the domain. Click OK.
You’ll you can see all of your records. I know that Apple was always tinkering with the Server app to make DNS records display differently, trying to hide the complexity. But to be honest, I always considered this type of view (which is standard amongst most network appliances) to be much more logical. That might be because I’m just used to looking at db files back in the pre-GUI days. But it makes sense to me. Notice in the sidebar, you have an option for Resolution. This is if the server is going to be used to resolve addresses upstream. What are those upstream servers. This is where you configure them. Don’t enable this option if the DNS server is only used by external clients to resolve names hosted on the server. Do use this if there will be clients on your network attempting to resolve against your server. Use the Views option to configure bind views. We’ll cover this at some point, but since this article is getting a bit long, let’s just say that this is where you configure different zone files for different subnets based on the source of the subnet. Useful if you want to use the same DNS server to host external and internal addressing, and you want the internals to point to LAN addresses and the externals to point to WAN addresses. Finally, if this DNS server will be providing services to external hosts, then point port 53 to the new server and set the name server record to the IP address on the WAN with the registrar. Apple won’t be keeping all of the services in macOS Server after the next few months. In the meantime, we have a big old guide to read. I have some overlapping articles I’ve been working on, but I’d say we’re in a similar headspace. 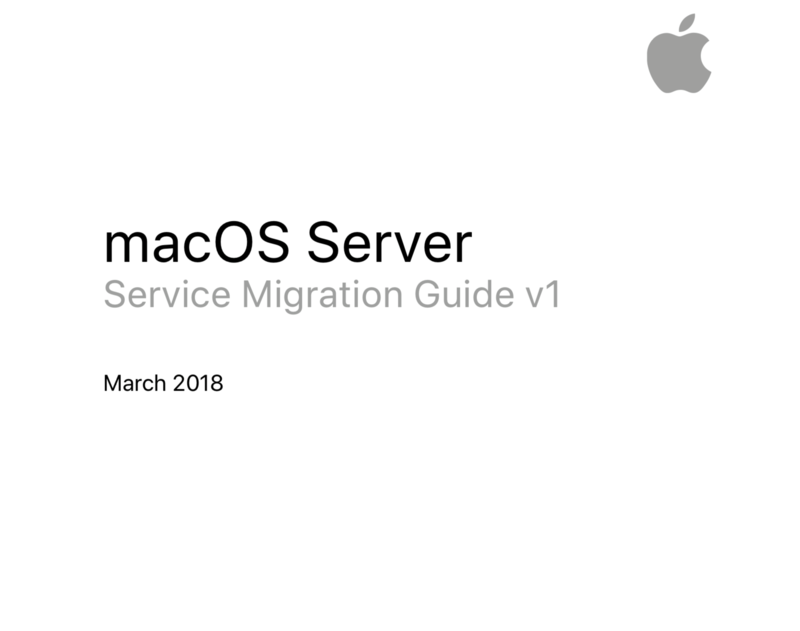 The Apple macOS Server Services Migration Guide is available at https://developer.apple.com/support/macos-server/macOS-Server-Service-Migration-Guide.pdf and covers bind, vpnd, freeradius, manual netinstall with bootp and tftp, apache, wordpress, CalendarServer, and ftp. It’s pretty technical, but nothing too crazy in there! Overall, an easy read and I’m glad to see some content coming out to help admins! The changes in the Server app are pretty minimal in the macOS Server 5.4 version that we’re now looking at. All of the options from previous versions are still there and the dnsconfig command line interface for managing the service are basically unchanged. 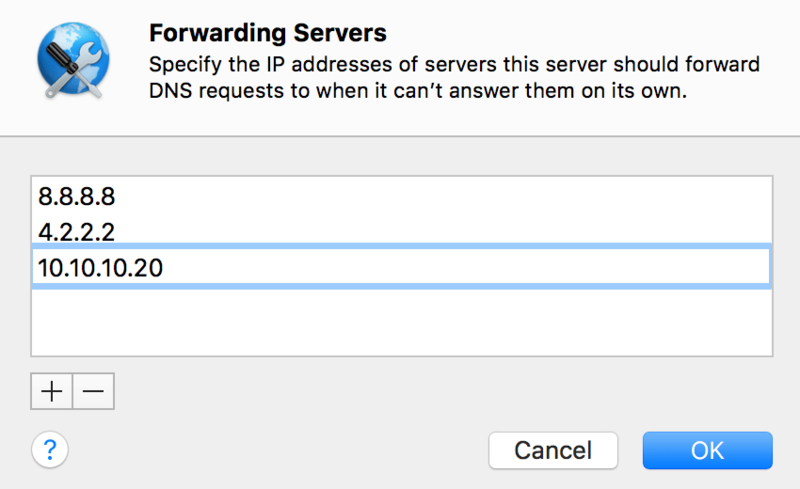 The DNS service in macOS Server, as with previous versions, is based on bind 9 (BIND 9.9.7-P3 to be exact). This is very much compatible with practically every DNS server in the world, including those hosted on Windows, macOS, Linux and even Zoe-R. The first time you open the DNS Service click on the DNS service in the ADVANCED section of the list of SERVICES. Then, click on the cog wheel icon below the list of records and click on Show All Records. At the Records screen, you’ll now see forward and reverse record information. Click the Edit… button for the Forwarding Servers field. Here, you’ll be able to enter a Forwarders, or DNS servers that resolve names that the server you’re using can’t resolve using its own DNS records. Click the plus sign to enter the IP address of any necessary Forwarders. 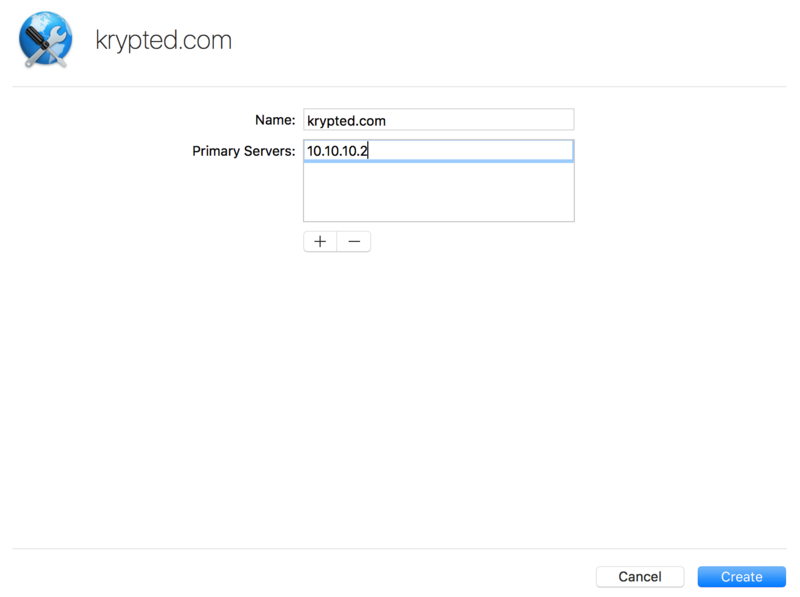 Enter the IP address of any Forwarding servers, then click OK to save your changes. 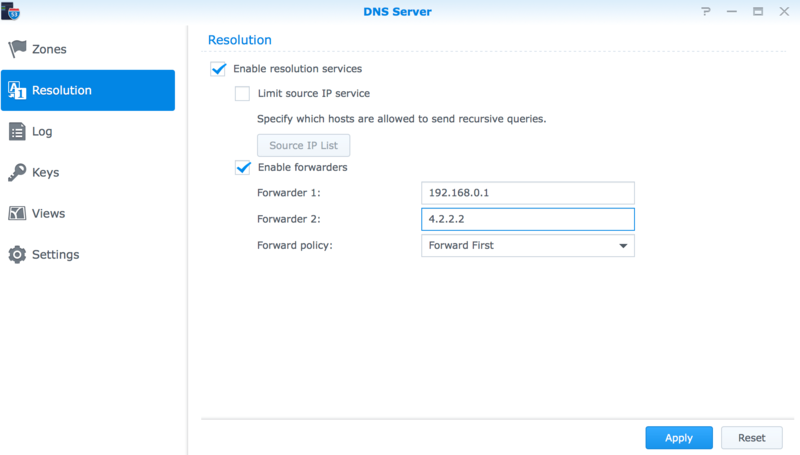 Once back at the main DNS service control screen, click the Edit… button for Perform lookups for to configure what computers the DNS server you are setting up can use the DNS service that the server is hosting. At the Perform Lookups screen, provide any additional subnets that should be used. If the server should be accessible by anyone anywhere, just set the “Perform lookups for” field at the DNS service screen to “all clients”. All you have to do to start the DNS is click on the ON button (if it’s not already started, that is). There’s a chance that you won’t want all of the records that are by default entered into the service. But leave it for now, until we’ve covered what everything is. Next, click on the cog wheel icon below the records list, and you’ll see a list of all the records and record types that are currently running on the server. Then, when you click on the plus sign, you can create additional records. Double-clicking on records (including the Zones) brings up a screen to edit the record. The settings for a zone can be seen below. These include the name for the zone. As you can see, a zone was created with the hostname rather than the actual domain name. This is a problem if you wish to have multiple records in your domain that point to the same host name. Theoretically you could create a zone and a machine record for each host in the domain, but the right way to do things is probably going to be to create a zone for the domain name instead of the host name. So for the above zone, the entry should be krypted.com rather than mavserver.krypted.com (the hostname of the computer). Additionally, the TTL (or Time To Live) can be configured, which is referenced here as the “Zone data is valid for” field. If you will be making a lot of changes this value should be as low as possible (the minimum value here is 5 minutes). Note: The above screen has the domain in the zone field and the name of a record, such as www for the zone called, for example, krypted.lan. Click Done to commit the changes or create the new record. Next, let’s create a MX record for the domain. To create the MX for the domain, click on the plus sign at the list of records. Select the appropriate zone in the Zone field (if you have multiple zones). Then type the name of the A record that you will be pointing mail to. Most likely, this would be a machine record called simply mail, in this case for krypton.lan, so mail.krypted.lan. If you have multiple MX records, increment the priority number for the lower priority servers. As a full example, let’s create a zone and some records from scratch. Let’s setup this zone for an Xsan metadata network, called krypted.xsan. Then, let’s create our metadata controller record as starbuck.krypted.xsan to point to 10.0.0.2 and our backup metadata controller record as apollo.krypted.xsan which points to 10.0.0.3. First, click on the plus sign and select Add Primary Zone. At the zone screen, enter the name of the domain you’re setting up (e.g. 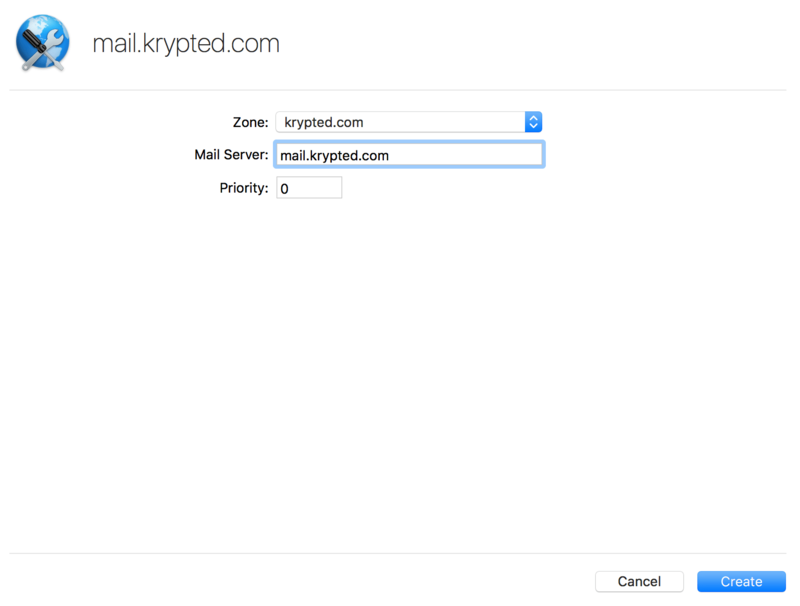 krypted.com, also known as the zone), check the box for Allow zone transfers (there will be a second server) and click on the Done button. Click on the plus sign and then click on Add Machine record. At the New Machine Record screen, select the appropriate zone as the Zone and then enter starbuck as the Host Name and click on the plus sign for IP Addresses and type in the appropriate IP. Click on Done to commit the changes. Repeat the process for each host that needs an address and then click Done to create the records. Now let\u2019s setup a secondary server by leveraging a secondary zone running on a second computer. 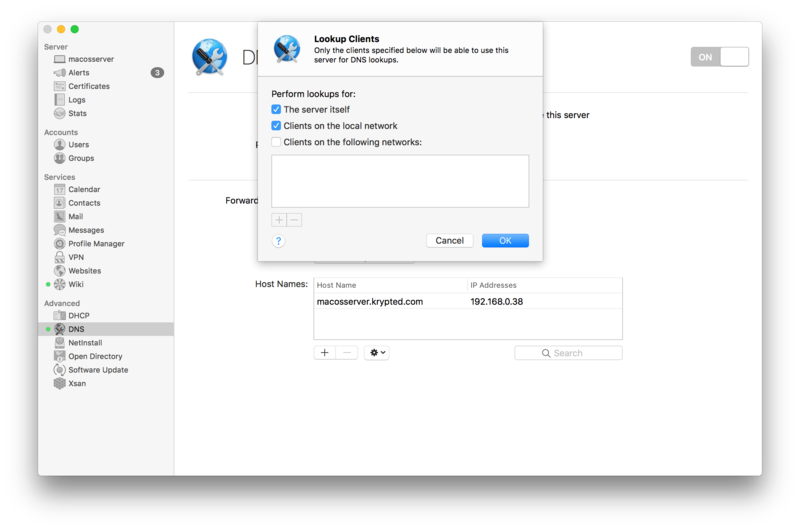 On the second Mountain Lion Server running on the second server, click on the plus sign for the DNS service and select Add Secondary Zone. Now let’s setup a secondary server by leveraging a secondary zone running on a second computer. On the second macOS Server, click on the plus sign for the DNS service and select Add Secondary Zone. ","engine":"visual"}” data-block-type=”2″> At the Secondary Zone screen, enter krypted.com as the name of the zone and then the IP address of the DNS server hosting that domain in the Primary Servers field (actually, enter your domain name, not mine). Click Done and the initial zone transfer should begin once the DNS service is turned on (if it hasn’t already been enabled). http://krypted.com/mac-os-x-server/os-x-server-forcing-dns-propagation for information on forcing DNS propagation if you are having issues with zone transfers. Finally, you can manage all records within the DNS service using the new /Applications/Server.app/Contents/ServerRoot/System/Library/PrivateFrameworks/DNSManager.framework/dnsconfig command line tool. 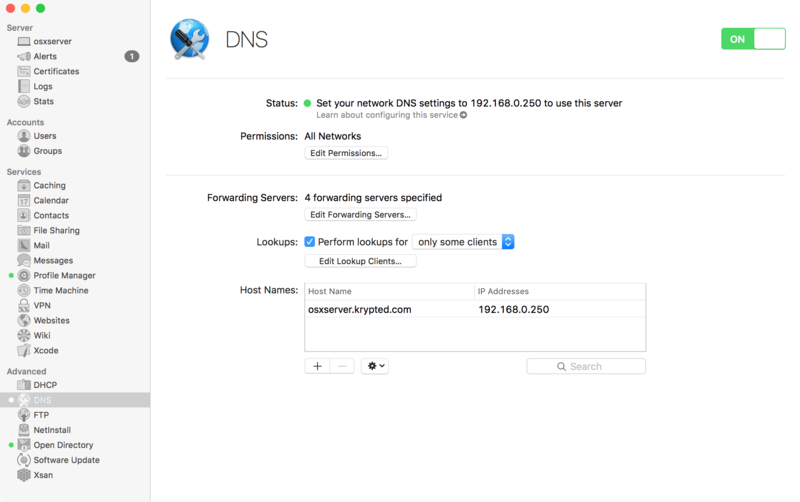 I’ve written an article on managing DNS using this tool, available here. DNS is DNS. And named is named. Except in macOS Server. Sometimes. 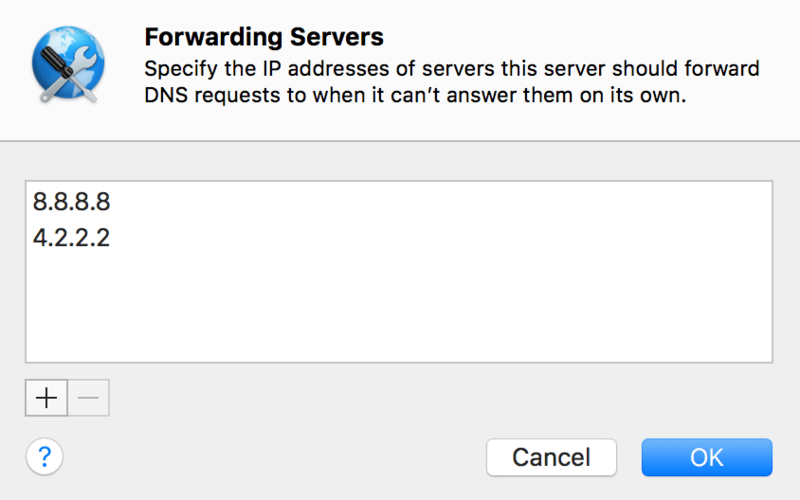 The configuration files for the DNS services in macOS Server are stored in /Library/Server/named. This represents a faux root of named configuration data, similar to how that configuration data is stored in /var/named on most other platforms. Having the data in /Library/Server/ makes it more portable across systems. The current version of BIND is BIND 9.9.7-P3 (Extended Support Version). This has been the case for a number of macOS Server versions, and can easily be located by doing a cat of the /Library/Server/named/.version file. Traditionally, you would edit this configuration data by simply editing the configuration files, and that’s absolutely still an option. In macOS Server 5.2 (for Sierra), a new command is available at /Applications/Server.app/Contents/ServerRoot/System/Library/PrivateFrameworks/DNSManager.framework called dnsconfig. The dnsconfig command appears simple at first. However, the options available are actually far more complicated than they initially appear. Overall, this command is one of the best I’ve seen for managing DNS in a long time. It shows a commitment to continuing to make the service better, when you add records or remove them you can instantly refresh the Server app and see the updates. It’s clear a lot of work went into this and it’s a great tool for when you’re imaging systems and want to create records back on a server or when you’re trying to script the creation of a bulk list of records (e.g. from a cached file from a downed host). It also makes working with Views as easy as I’ve seen it in most platforms and is overall a breeze to work with as compared to using the serveradmin command to populate objects so the GUI doesn’t break when you update records by hitting files directly. Overall, this command is one of the better updates we’ve seen from Apple when it comes to managing DNS in a long time. It shows a commitment to continuing to make the service better, when you add records or remove them you can instantly refresh the Server app and see the updates. It’s clear a lot of work went into this and it’s a great tool for when you’re imaging systems and want to create records back on a server or when you’re trying to script the creation of a bulk list of records (e.g. from a cached file from a downed host). It also makes working with Views as easy as I’ve seen it in most platforms and is overall a breeze to work with as compared to using the serveradmin command to populate objects so the GUI doesn’t break when you update records by hitting files directly. 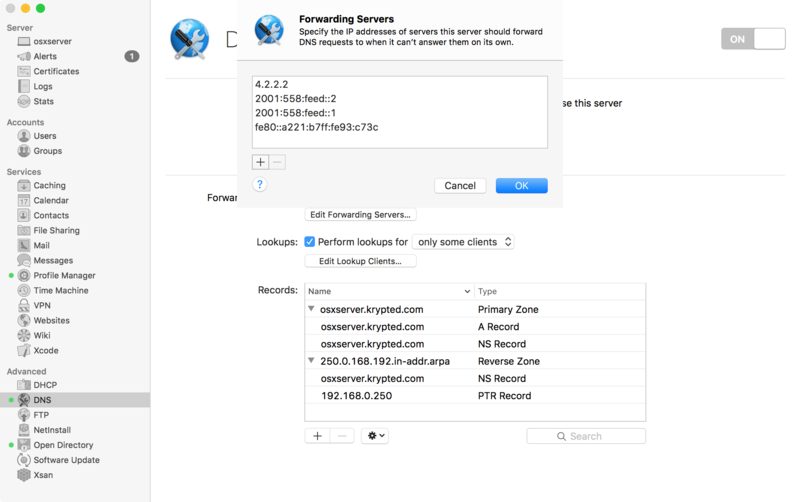 Under the hood, OS X Server has a number of substantial changes; however, at first the Server app (Server 5) appears to have had very few changes. The changes in the Server app were far more substantial in the El Capitan version (and Yosemite for that matter) of OS X Server. All of the options from OS X are still there and using the new command line interface for managing the service, there are far more options than ever before. 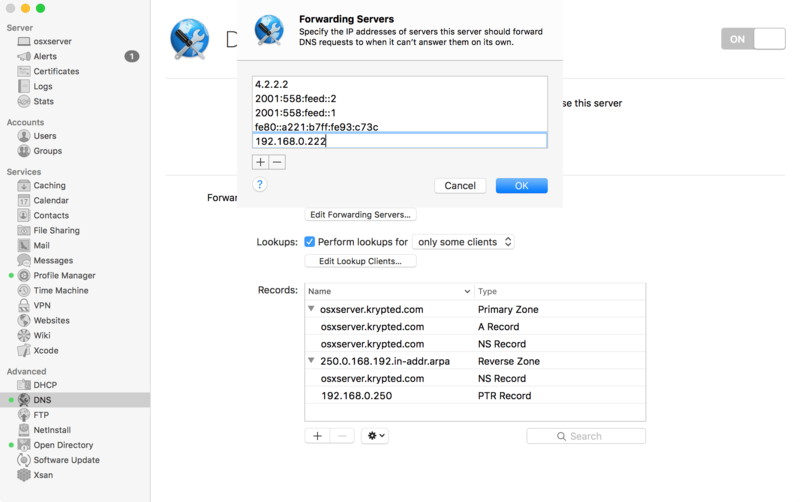 The DNS service in OS X Server, as with previous versions, is based on bind 9 (BIND 9.9.7-P2 to be exact). This is very much compatible with practically every DNS server in the world, including those hosted on Windows, OS X, Linux and even Zoe-R. The first time you open the DNS Service click on the DNS service in the ADVANCED section of the list of SERVICES. Then, click on the cog wheel icon below the list of records and click on Show All Records. At the Records screen, you’ll now see forward and reverse record information. Click the Edit… button for the Forwarding Servers field. Here, you’ll be able to enter a Forwarders, or DNS servers that resolve names that the server you’re using can’t resolve using its own DNS records. Click the plus sign to enter the IP address of any necessary Forwarders. Enter the IP address of any Forwarding servers, then click OK to save your changes. Once back at the main DNS service control screen, click the Edit… button for Perform lookups for to configure what computers the DNS server you are setting up can use the DNS service that the server is hosting. When you click on the plus sign, you can create additional records. Double-clicking on records (including the Zones) brings up a screen to edit the record. The settings for a zone can be seen below. These include the name for the zone. As you can see, a zone was created with the hostname rather than the actual domain name. This is a problem if you wish to have multiple records in your domain that point to the same host name. Theoretically you could create a zone and a machine record for each host in the domain, but the right way to do things is probably going to be to create a zone for the domain name instead of the host name. So for the above zone, the entry should be krypted.com rather than mavserver.krypted.com (the hostname of the computer). Additionally, the TTL (or Time To Live) can be configured, which is referenced here as the “Zone data is valid for” field. If you will be making a lot of changes this value should be as low as possible (the minimum value here is 5 minutes). Once changes are made, the TTL can be set for a larger number in order to reduce the amount of traffic hitting the server (DNS traffic is really light, so probably not a huge deal in most environments using an El Capitan Server as their DNS server). Check the box for “Allow zone transfers” if there will be other servers that use this server to lookup records. Additionally, if the zone is to be a secondary zone configured on another server, you can configure the frequency to perform zone transfers at this screen, how frequently to perform lookups when the primary name server isn’t responsive and when to stop bothering to try if the thing never actually ends up coming back online. Click on Done to commit any changes made, or to save a new record if you’re creating a new zone. Double-click on a Machine record next (or click plus to add one). Here, provide a hostname along with an IP address and indicate the Zone that the record lives in. The IP Addresses field seems to allow for multiple IPs, which is common in round robin DNS, or when one name points to multiple servers and lookups rotate amongst the servers. However, it’s worth mentioning that when I configure multiple IP addresses, the last one in the list is the only one that gets fed to clients. Therefore, for now at least, you might want to stick with one IP address per name. 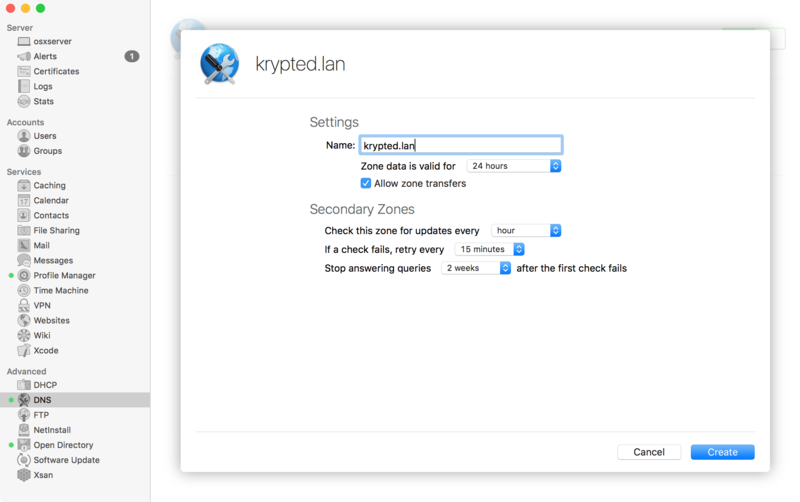 Note that the above screen has the domain in the zone field and the name of a record, such as www for the zone called, for example, krypted.lan. Click Done to commit the changes or create the new record. Next, let’s create a MX record for the domain. To create the MX for the domain, click on the plus sign at the list of records. 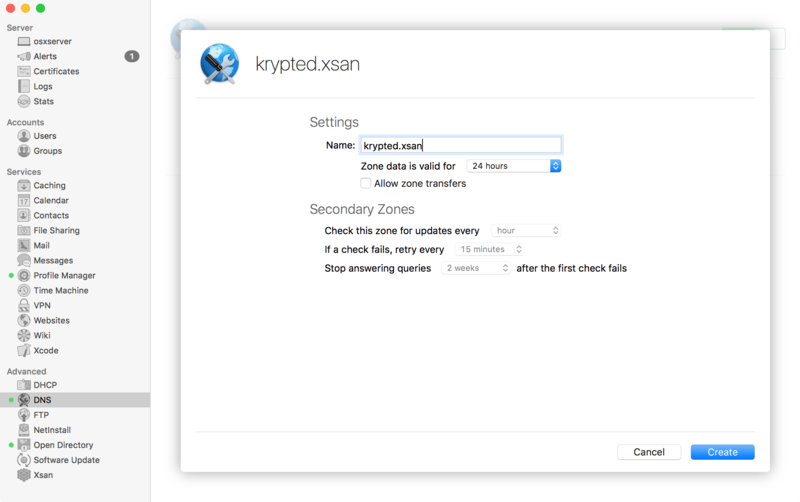 At the zone screen, enter the name krypted.xsan, check the box for Allow zone transfers (there will be a second server) and click on the Done button. Click on the plus sign and then click on Add Machine record. 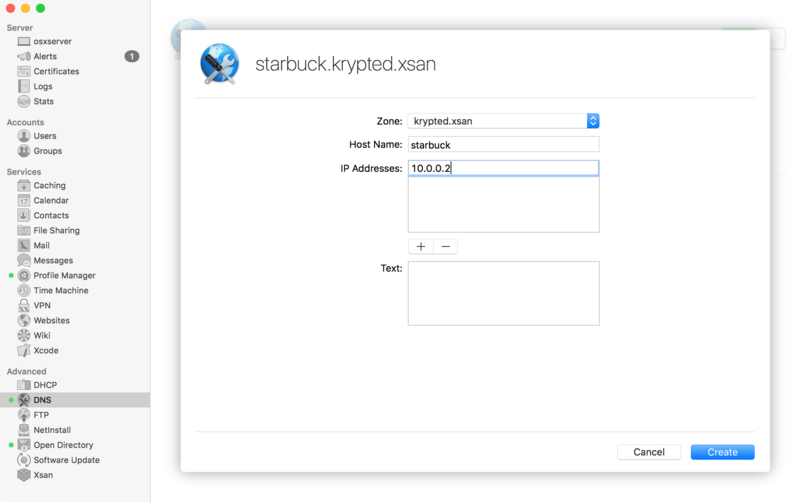 At the New Machine Record screen, select krypted.xsan as the Zone and then enter starbuck as the Host Name and click on the plus sign for IP Addresses and type in 10.0.0.2. Click on Done to commit the changes. Repeat the process for Apollo, entering apollo as the Host Name and 10.0.03 as the IP address. Click Done to create the record. Now let’s setup a secondary server by leveraging a secondary zone running on a second computer. 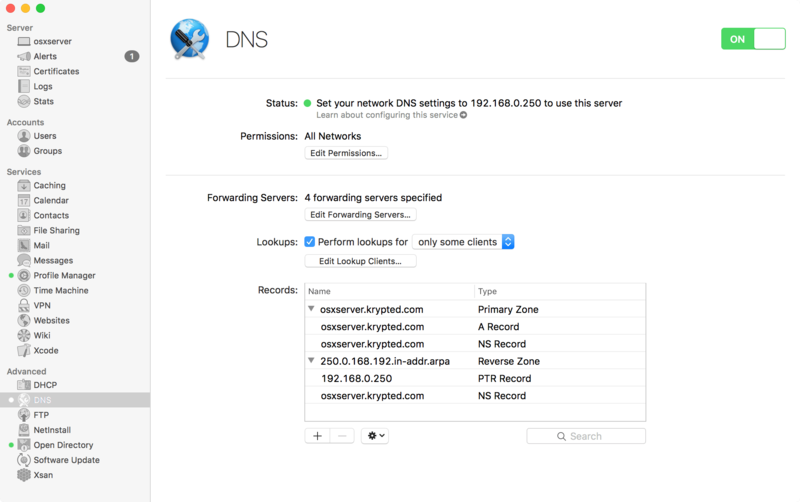 On the second El Capitan Server running on the second server, click on the plus sign for the DNS service and select Add Secondary Zone. 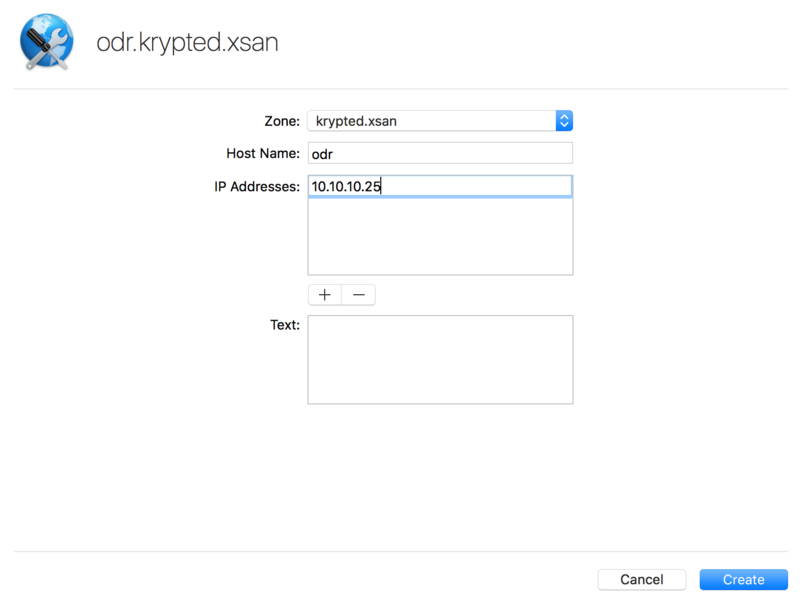 At the Secondary Zone screen, enter krypted.xsan as the name of the zone and then the IP address of the DNS server hosting that domain in the Primary Servers field. Click Done and the initial zone transfer should begin once the DNS service is turned on (if it hasn’t already been enabled). 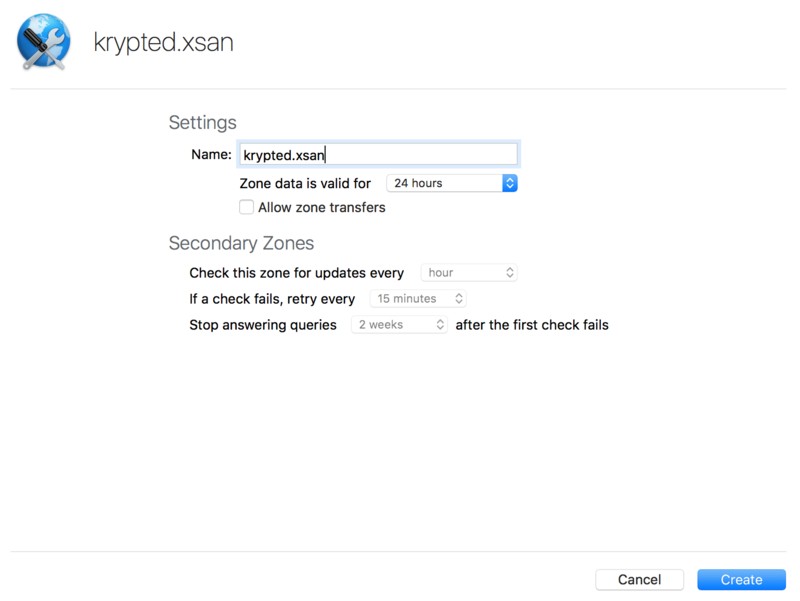 Also, see http://krypted.com/mac-os-x-server/os-x-server-forcing-dns-propagation for information on forcing DNS propagation if you are having issues with zone transfers. Finally, you can manage all records within the DNS service using the new /Applications/Server.app/Contents/ServerRoot/System/Library/PrivateFrameworks/DNSManager.framework/dnsconfig command line tool. 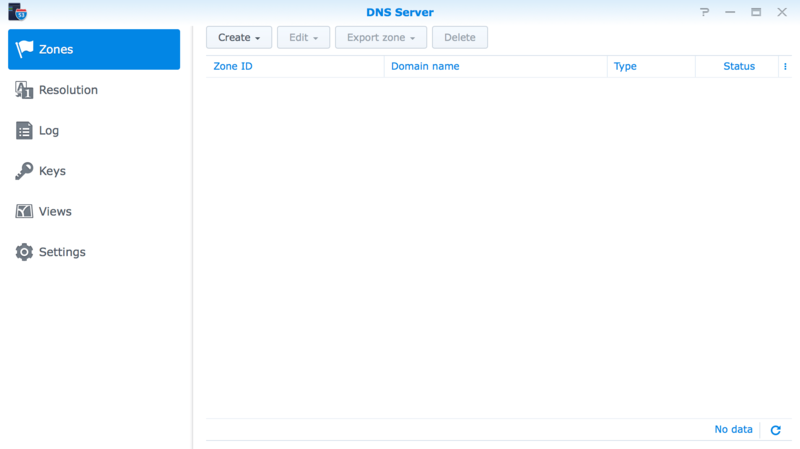 I’ve written an article on managing DNS using this tool, available here. Under the hood, OS X Server has a number of substantial changes; however, at first the Server app (Server 3) appears to have had very few changes. The changes in the Server app were far more substantial in the Mountain Lion version of OS X Server. All of the options from Mountain Lion are still there and using the new command line interface for managing the service, there are far more options than ever before. The DNS service in OS X Server, as with previous versions, is based on bind 9 (BIND 9.9.2-P2 to be exact). This is very much compatible with practically every DNS server in the world, including those hosted on Windows, OS X, Linux and even Zoe-R. The first time you open the DNS Service click on the DNS service in the ADVANCED section of the list of SERVICES. Then, click on the cog wheel icon below the list of records and click on Show All Records. At the Records screen, you’ll now see forward and reverse record information. Click the Edit… button for the Forwarding Servers field. Here, you’ll be able to enter a Forwarders, or DNS servers that resolve names that the server you’re using can’t resolve using its own DNS records. Click the plus sign to enter the IP address of any necessary Forwarders. Enter the IP address of any Forwarding servers, then click OK to save your changes. Once back at the main DNS service control screen, click the Edit… button for Perform lookups for to configure what computers the DNS server you are setting up can use the DNS service that the server is hosting. These include the name for the zone. As you can see, a zone was created with the hostname rather than the actual domain name. This is a problem if you wish to have multiple records in your domain that point to the same host name. Theoretically you could create a zone and a machine record for each host in the domain, but the right way to do things is probably going to be to create a zone for the domain name instead of the host name. So for the above zone, the entry should be krypted.com rather than mavserver.krypted.com (the hostname of the computer). Additionally, the TTL (or Time To Live) can be configured, which is referenced here as the “Zone data is valid for” field. If you will be making a lot of changes this value should be as low as possible (the minimum value here is 5 minutes). Once changes are made, the TTL can be set for a larger number in order to reduce the amount of traffic hitting the server (DNS traffic is really light, so probably not a huge deal in most environments using a Mountain Lion Server as their DNS server). Check the box for “Allow zone transfers” if there will be other servers that use this server to lookup records. Additionally, if the zone is to be a secondary zone configured on another server, you can configure the frequency to perform zone transfers at this screen, how frequently to perform lookups when the primary name server isn’t responsive and when to stop bothering to try if the thing never actually ends up coming back online. Click on Done to commit any changes made, or to save a new record if you’re creating a new zone. Note that the above screen has a match for the host name to the zone name, including the zone name. This is not to be done for manually created records. Enter the name of a record, such as www for the zone called, for example, krypted.lan and not www.krypted.lan in the Host Name record, or you will end up creating a host called www.krypted.lan.krypted.lan, which is likely not very desirable. Given that this wasn’t the default behavior back in Server Admin, I personally consider this something that will likely get fixed in the future. Click Done to commit the changes or create the new record. Next, let’s create a MX record for the domain. To create the MX for the domain, click on the plus sign at the list of records. Now let’s setup a secondary server by leveraging a secondary zone running on a second computer. 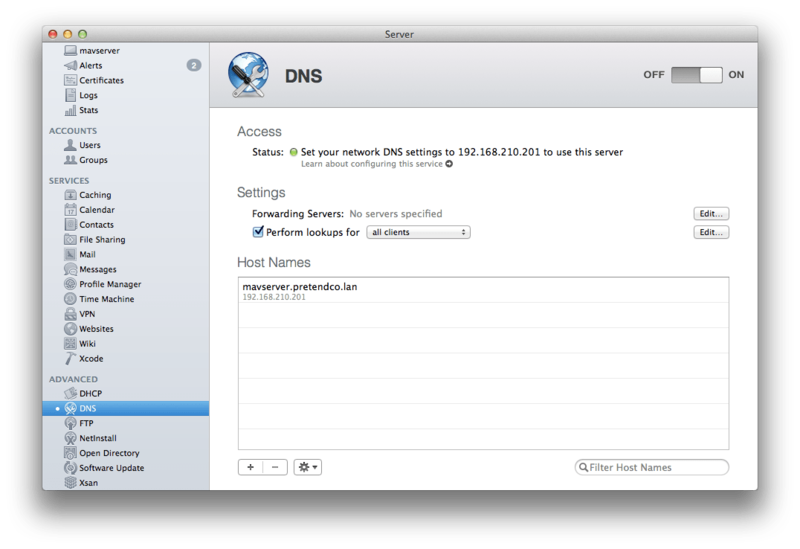 On the second Mountain Lion Server running on the second server, click on the plus sign for the DNS service and select Add Secondary Zone.